Technology has never been more in demand. 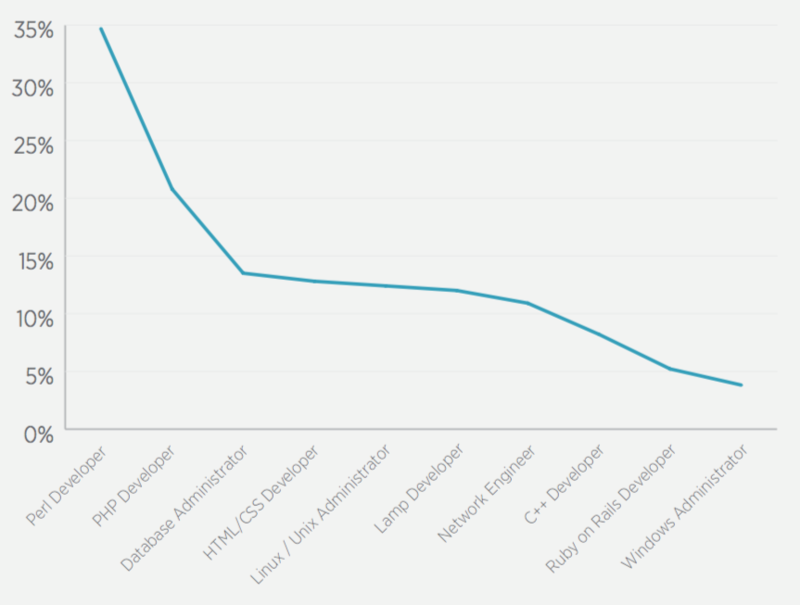 In the last five years alone, tech salaries have increased by an incredible 26%, and the market shows no signs of slowing down. 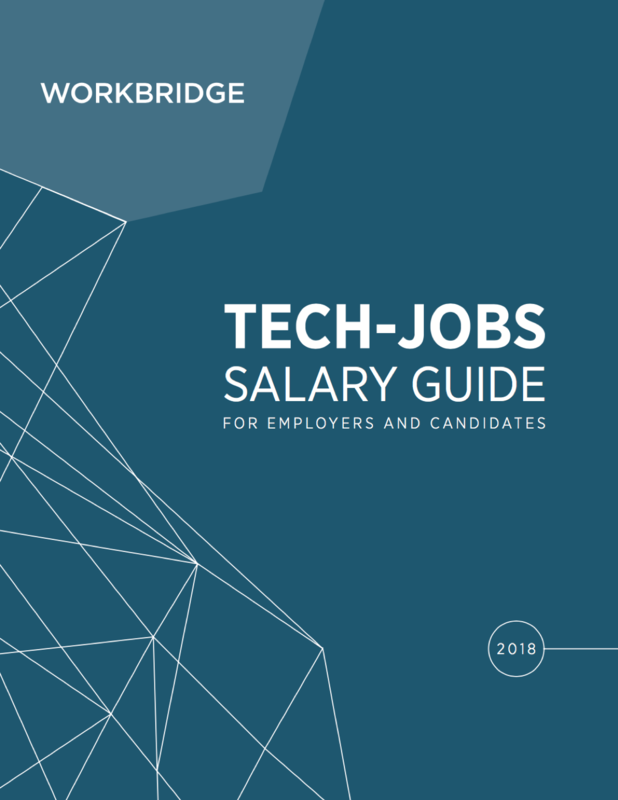 Our guide highlights current salary trends that both job seekers and hiring managers will find useful for beating out their competition. Contact us to learn more about open tech roles and available talent in your local market. 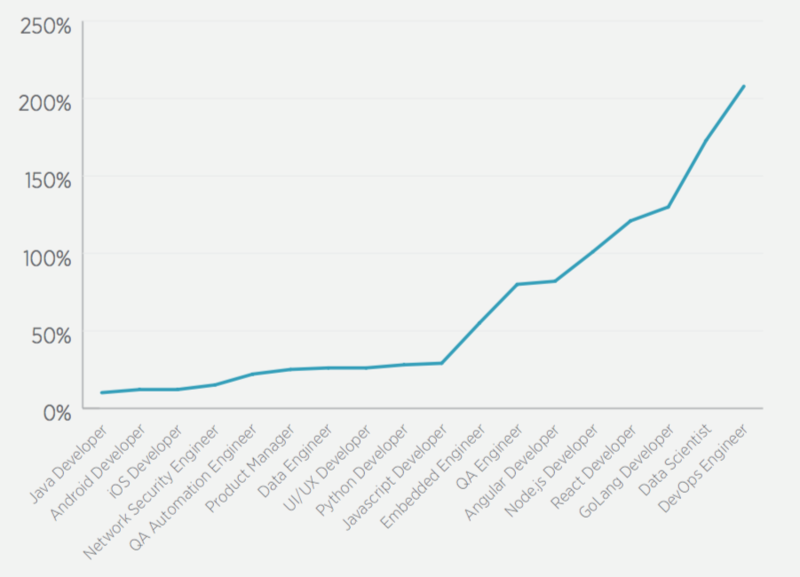 These roles are currently on the rise, with companies often competing against each other to fill their open positions. As technology advances, new roles and skills emerge in popularity. If your role is represented on the right, you should have confidence in your employment security for 2018. 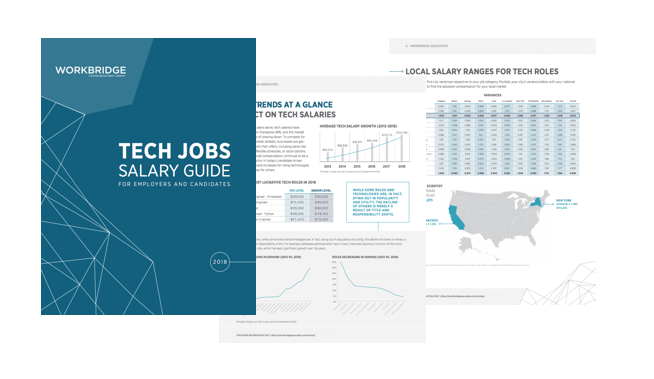 Download the Tech Salary Guide to see the impact on your salary and/or hiring budget. Companies are constantly seeking scalability and to improve processes and automate mundane tasks, causing some skills and roles to fall out of fashion. If your role or your team's roles are predominantly comprised of some of these skills, look into expanding your knowledge base and technology toolkit now before your role or skillset becomes obsolete. If your role (or your team's roles) are on the decline, reach out and we will help you identify what to do next. Are You Ahead of Today's Tech Curve? Download Our 2018 Guide to Find Out!